Despite United Airlines’ best efforts to keep me taxing on the runway, I’m home from ALA with some great designs to share. 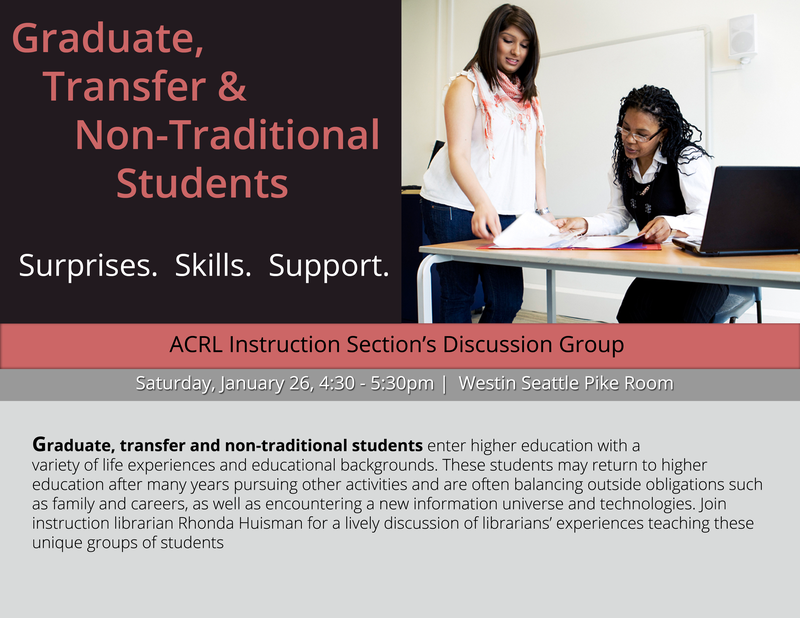 This is a flyer I created to advertise ACRL’s Instruction Section’s Discussion Group session at the upcoming ALA Midwinter Meeting. I picked up the great image from Microsoft’s clipart/stock photo library (thanks for the tip, April!) and tried to tie in some of the colors from the image in the background areas and text. For the original Photoshop file, email Veronica Arellano Douglas.